What is a “Catalytic Converter”? A catalytic converter is a vehicle emissions control device that converts toxic pollutants in exhaust gas to less toxic pollutants, by catalysing a redox reaction (oxidation or reduction). While catalytic converters are most commonly found in car exhaust systems, they are also used in airplanes, buses, forklifts, trucks and other types of equipment running on engines. 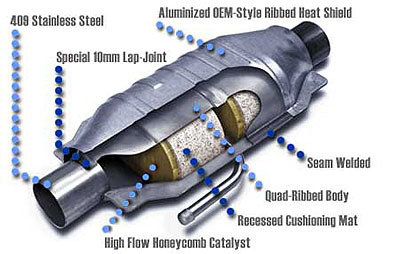 Catalytic converters contain a mix of precious metals inside a ceramic monolith with a honeycomb structure. Platinum (Pt) is used both for reduction and oxidation. 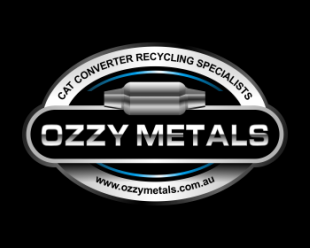 The amounts of recoverable precious metal in each catalytic converter can range from 1-2 grams for a small car to 12-15 grams for a large truck. Prices vary from day to day as they are directly influenced by the current market of precious metals. About 46% of the total Platinum, 57% of the total Palladium, and 77% of the total Rhodium globally, were consumed by the automotive catalyst industry in 2010. That same year, 33.7 tons of Platinum, 41.2 tons of Palladium, and 7.3 tons of Rhodium were recovered from the recycling of scrap catalytic converters, representing a total value of US$3 billion at the 2010 cumulative average price of fine metals.